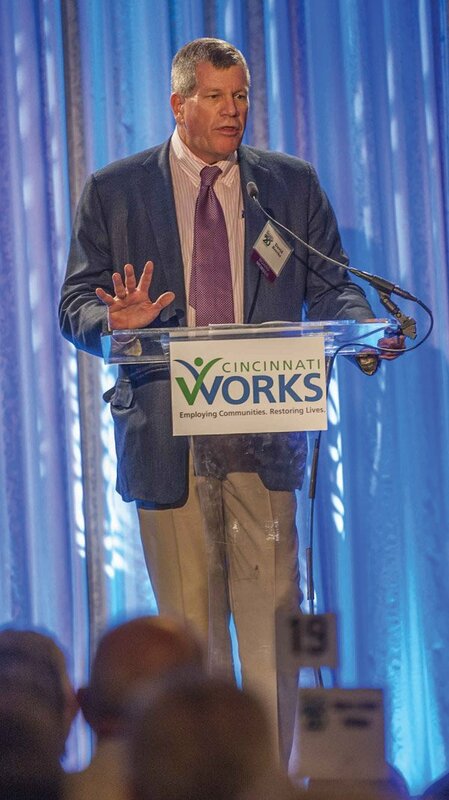 For 20 years, Cincinnati Works has fought poverty through employment. 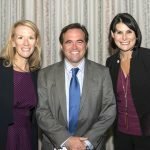 In dollars and cents, that translates to nearly $35 million in increased incomes, sales tax collections and reduced use of public services, according to a study by the University of Cincinnati Economics Center. 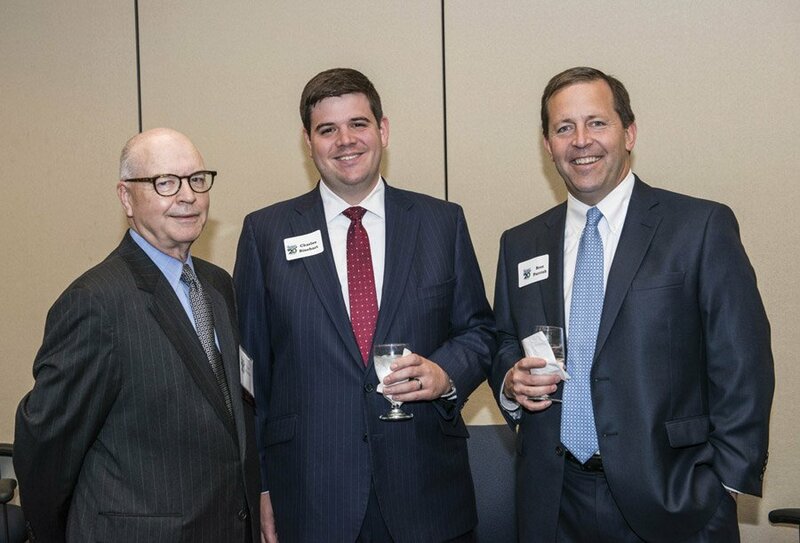 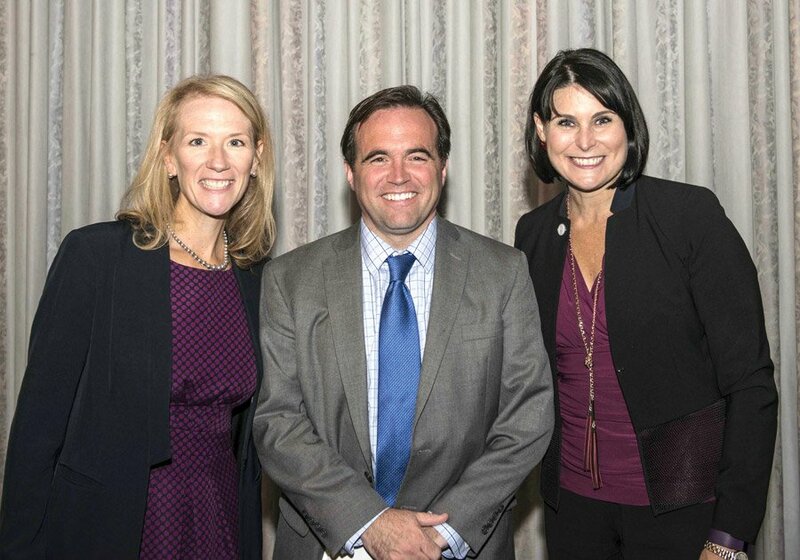 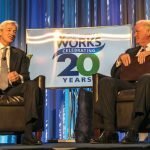 Cincinnati Works celebrated its 20th anniversary at a luncheon at Xavier University’s Cintas Center. 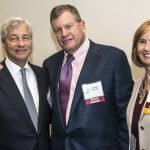 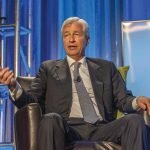 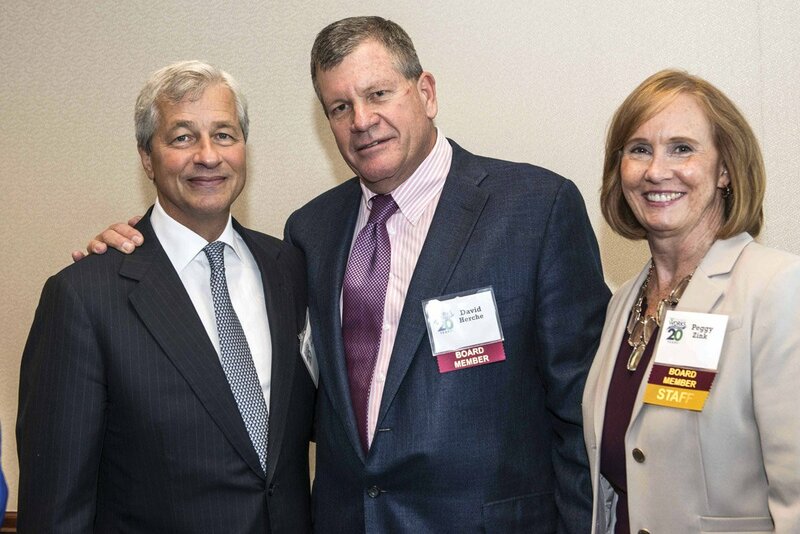 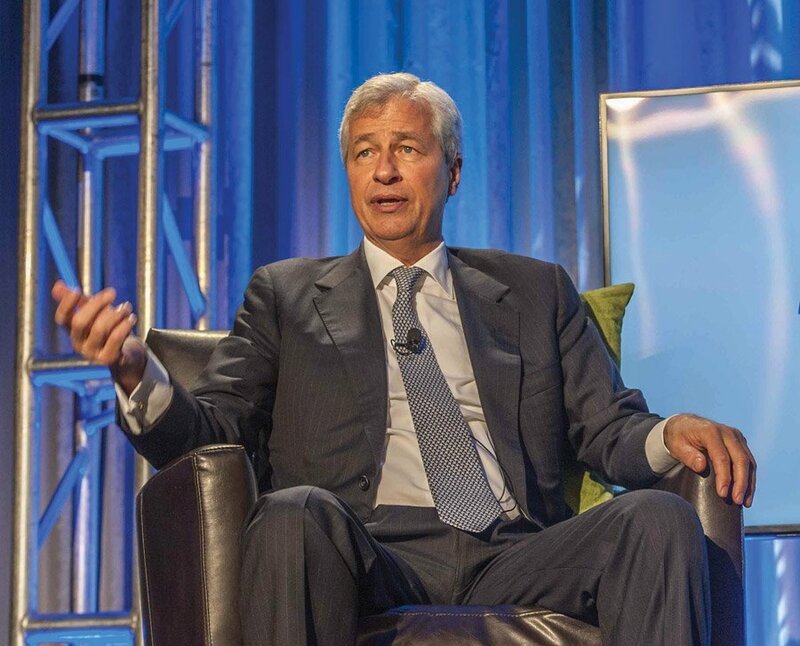 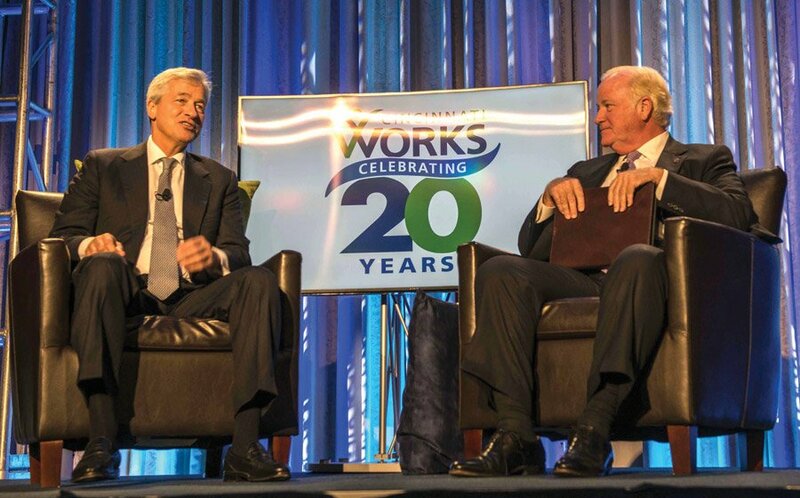 The keynote speaker, Jamie Dimon, CEO and chairman of JPMorgan Chase & Co., discussed the relationship between poverty and the economy. 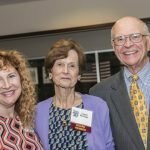 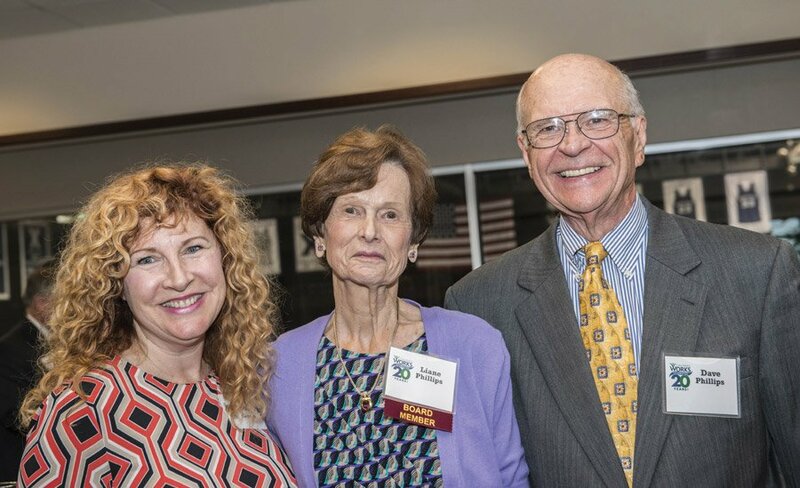 Cincinnati Works president Peggy Zink thanked fellow service organizations for helping her organization pursue its purpose. 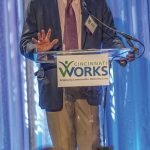 Dave Herche, CEO and chairman of Enerfab and chairman of Cincinnati Works, expressed gratitude to the network of investors that funds operations for the organization. 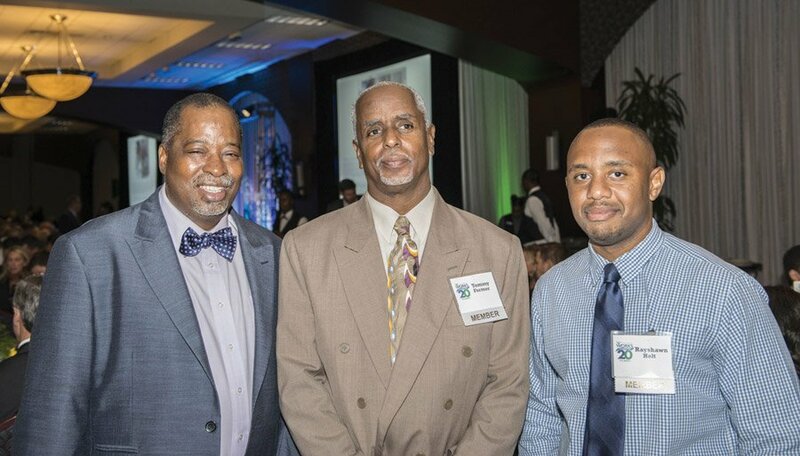 More than 7,100 members (clients) completed JumpStart training, a course focused on soft skills such as interview etiquette and work ethic. 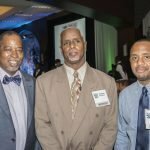 A total of 5,813 members gained employment in top industries. 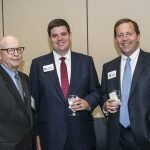 This involved more than 9,000 total job placements.